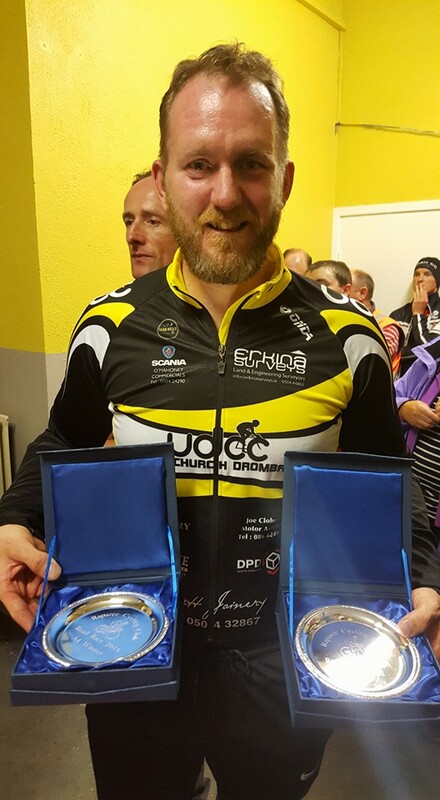 Congratulations to Gareth Genockey who came home first in the A4 category and 3rd overall in a combined A3/A4 race held this evening in Dundrum hosted by the Raparee Cycling Club. Well done also to David Donovan who finished well in the bunch. Also taking part this evening were Michéal Cahill, Jerry Ryan and Dave Connor, between mechanicals and punctures the lads failed to finish. It was great to see Dave Connor taking part in his first competitive race, well done Dave.